We understand how difficult it can be to find just the right flooring for your home or business, and we are here to help! At Northwest Floors, we can help you choose from luxurious carpets in thousands of colors and patterns or the handcrafted beauty of exotic and domestic hardwoods. We can also help you pick from our diverse styles and designs of intricate patterned tile or our durable laminate flooring, sheet vinyl and luxury vinyl tile. Located in Billings, MT, Northwest Floors provides so many choices for every room in your home that lets you express your personal style. Northwest Floors began a partnership with Mohawk in 2001 as an exclusive Mohawk Floorscapes Dealer. Our extensive knowledge of the Mohawk product line as well as several other lines, along with our focus on customer service allows us to provide the highest quality flooring solutions available today. Please browse our website and then stop in and visit us or call to set up an at home appointment to see for yourself why our focus on customer service gives YOU the clear advantage in flooring! A full service, one stop shop, providing carpet, flooring, tile, wood, counter tops, cabinetry, window coverings, college graduate interior design professionals, and installers. As a cooperative with 1,000 stores worldwide, we not only have enormous buying power, but we have partners in all of the major brands, mills and manufacturers. We’ve done the research for you. Just tell us your needs, and we’ll satisfy them beyond your expectations. With one of the largest selections of carpet, hardwood, laminate, ceramic tile, vinyl, area rugs and more — and you'll always find the best products and great savings ... every day. 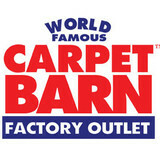 *Authorized Dealer of Shaw Floors* The World Famous Carpet Barn has been in business at the same location for 41 years and the employees have over 185 years combined experience with design, installation, and sales of beautiful flooring products. What is really great, however, is the terrific staff. 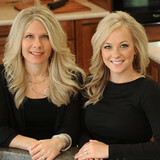 They are friendly, knowledgeable, and willing to assist your flooring needs in any way. The Barn is stocked full of some of the industry's best bargains, closeouts, and specials. You will find "one of a kind" specials at savings in excess of 70% off suggested retail that no one else in our shopping area has. 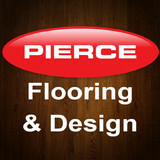 As a Flooring Specialist at Pierce, I help my clients achieve their ideal space. Whether a customer is looking to DIY flooring in one room of their home, or take on a whole-home remodel—no job is too large or small. My main goal is to ensure that my clients are getting the right flooring for their project. Beyond that, I take a more holistic approach towards design, truly partnering with my client to make sure flooring flows throughout multiple spaces, is comfortable, functional and, of course, beautiful. Classic yet contemporary, hardwood floors are one of the most beautiful types of flooring a home can have. However, if not installed correctly or damaged, a floor can threaten a home’s entire interior aesthetic. That’s where Molt, MT hardwood flooring installers and dealers step in. Whether you need a hardwood floor installation or replacement, or just want some guidance on the types of hardwood flooring available, these Molt flooring pros can help. What kinds of services do hardwood flooring installation professionals in Molt, MT provide? Find hardwood floor experts in Molt, MT on Houzz. 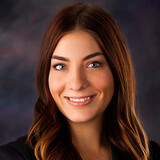 Search the Professionals section for Molt, MT hardwood flooring installers and dealers or browse Molt, MT photos of completed installations and look for the professional’s contact information.